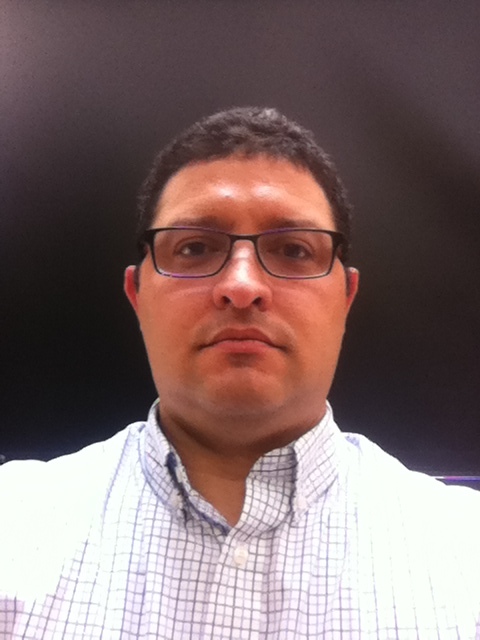 Dr. Delgado is experienced in remote sensing technology for air quality, wind energy, and meteorology applications. His interest and experience in active and passive remote sensing measurements has allowed him to participate in numerous field campaigns. Dr. Delgado has mentored undergraduate and graduates students from diverse majors (Math, Physics, Chemical Engineering, Mechanical Engineering, Geography and Environmental Systems) in atmospheric and remote sensing topics. Research interests focus in atmospheric chemistry and physics, and laser remote sensing technology. Elastic, Raman, and Doppler wind lidar measurements are integrated with satellite retrievals, ground based concentration measurements of gases and aerosols, and numerical weather prediction models to reach a thorough understanding of the coupling of chemistry and dynamics in air-land-marine interactions. “Classifying rotor-layer wind to reduce offshore available power uncertainty”, A. St. Pé, J. Brodie, R. Delgado, Wind Energy, 2017, accepted. “Comparison of aerosol lidar retrieval methods for boundary layer height detection using ceilometer aerosol backscatter data”, V. Caicedo, B. Rappenglück, B. Lefer, G. Morris, D. Toledo, R. Delgado, Atmos. Meas. Tech., 10, 1609-1622, https://doi.org/10.5194/amt-10-1609-2017, 2017. “Lidar observations revealing transport of O3 in the presence of a nocturnal low-level jet: Regional implications for “next-day” pollution”, J. T. Sullivan, S. D. Rabenhorst, J. Dreesen, J., T. J. McGee, R. Delgado, L. Twigg, G. Sumnicht, Atmos. Environ. 158, 160-171, 2017. “Assessment of Mixed-Layer Height Estimation from Single-wavelength Ceilometer Profiles”, Knepp, T. N., Szykman, J. S., Long, R., Duvall, R. M., Krug, J., Beaver, M., Cavender, K., Kronmiller, K., Wheeler, M., Delgado, R., Hoff, R., Berkoff, T., Olson, E., Clark, R., Wolfe, D., van Gilst, D., and Neil, D., Atmos. Meas. Tech., 10, 3963-3983, https://doi.org/10.5194/amt-10-3963-2017, 2017. “Assessing the accuracy of microwave radiometers and radio acoustic sounding systems for wind energy applications”, L. Bianco, K. Friedrich, J. M. Wilczak, D. Hazen, D. Wolfe, R. Delgado, S. P. Oncley, J. K. Lundquist, Atmos. Meas. Tech., 10, 1707-1721, https://doi.org/10.5194/amt-10-1707-2017, 2017. “Vertical profiles of the 3-D wind velocity retrieved from multiple wind lidars performing triple range-height-indicator scans”, M. Debnath, G. V. Iungo, R. Ashton, W. A. Brewer, A. Choukulkar, R. Delgado, J. K. Lundquist, W. J. Shaw, J. M. Wilczak,D. Wolfe, Atmos. Meas. Tech., 10, 431-444, doi:10.5194/amt-10-431-2017, 2017. “Evaluation of single and multiple Doppler lidar techniques to measure complex flow during the XPIA field campaign”, A. Choukulkar, W. A. Brewer, S. P. Sandberg, A. Weickmann, T. A. Bonin, R. M. Hardesty, J. K. Lundquist, R. Delgado, G. V. Iungo, R. Ashton, M. Debnath, L. Bianco,J. M. Wilczak, S. Oncley, D. Wolfe, Atmos. Meas. Tech., 10, 247-264, doi:10.5194/amt-10-247-2017, 2017. “Sources and Composition of PM2.5 in the Colorado Front Range during the DISCOVER-AQ Study”, M. J. Valerino, J. J. Johnson, J. Izumi, D. Orozco, R. M. Hoff, R. Delgado, R., C. J. Hennigan, Journal of Geophysical Research Atmospheres, 121, doi:10.1002/2016JD025830, 2016. “Assessing State-of-the-Art Capabilities for Probing the Atmospheric Boundary Layer : the XPIA Field Campaign”, J. Lundquist, J. Wilczak, R. Ashton, L. Bianco, A. Brewer, A. Choukulkar, A. Clifton, M. Debnath, R. Delgado, K. Friedrich, S. Gunter, S., A. Hamidi, G. Valerio, A. Kaushik, B. Kosović, P. Langan, A. Lass, J. Lavin, Y. Lee, K. McCaffrey, R. Newsom, D. Noone, S. Oncley, P. Quelet, S. Sandberg, J. Schroeder, W. Shaw, L. Sparling, C. St. Marin, A. St.Pé, E. Strobach, K. Tay, B. Vanderwende, A. Weickmann, A., D. Wolfe, R. Worsnop, Bulletin of American Meteorological Society, doi:10.1175/BAMS-D-15-00151.1, 2016. “Hygroscopicity Measurements of Aerosol Particles in the San Joaquin Valley, CA, Baltimore, MD, and Golden, CO”, D. Orozco, A. Beyersdorf , L. Ziemba , T. Berkoff, Q. Zhang , R. Delgado , C. Hennigan , K. Thornhill , C. Parworth , H. Kim , D. Young , R. Hoff, Journal of Geophysical Research-Atmospheres, 121, doi:10.1002/2015JD023971, 2016. “Lidar Remote Sensing of Cloud Formation Caused by Low-Level Jets”, J. Su, M. Felton, L. Lei, P. McCormick, R. Delgado, A. St. Pé, A.,Journal of Geophysical Research-Atmospheres, 121, doi:10.1002/2015JD024590,2016. “Observations and Impacts of Transported Canadian Wildfire Smoke on Ozone and Aerosol Air Quality in the Maryland Region on 9-12 June, 2015, J. Dreessen, J. T. Sullivan, R. Delgado, Journal of the Air & Waste Management Association, 10.1080/10962247.2016.1161674, 2016. “Aerosol particulate matter in the Baltimore metropolitan area: temporal variation over a six-year period”, D. Orozco, R. Delgado, D. Wesloh, R. J. Powers, R. Hoff, Journal of the Air & Waste Management Association, 65, 1050-1061, 10.1080/10962247.2015.1067653, 2015. “An Assessment on the Wind Energy Potential and Possible Solutions for Power Generation in Baltimore County in Maryland, USA” N. Goudarzi, W. D. Zhu, R. Delgado, A. St. Pé, Proc. ASME FEDSM 2014, FEDSM2014-21784, 2014. “Assessment of long scale plume transport to the US East coast using coordinated CREST lidar network and synergistic AERONET and satellite measurements”, F. Moshary, L. Cordero, Y. Wu, B. Gross, D. Orozco, P. Sawamura, R. M. Hoff, R. Delgado, R., J. Su, K. Leavor, others (2013). SPIE Remote Sensing, pp. 88940K–88940K, 2013. “Elastic Lidar Measurements Of Summer Nocturnal Low Level Jet Events over Baltimore, Maryland”, R. Delgado, S. Rabenhorst, B.Demoz, R. M. Hoff, J. Atmos. Chem., doi: 10.1007/s10874-013-9277-2, 2013. “Towards a Methodology for Estimating Surface NO2 and SO2 Mixing Ratios from High Spatial and Temporal Resolution Retrievals, and its Applicability to High-resolution Space-based Observations”, T. Knepp, M. Pippin, J. Crawford, J. Szykman, R. Long, L. Cowen, A. Cede, N. Abuhassan, J. Herman, R. Delgado, J. Compton, T. A. Berkoff, J. Fishman, D. Martins, R. Stauffer, A. Thompson, A. Weinheimer, D. Knapp, D. Montzka, D. Lenschow, D. Neil, J. Atmos. Chem., doi: 10.1007/s10874-013-9257-6, 2013, 2013. “Determination of planetary boundary layer height on short spatial and temporal scales: A demonstration of the Covariance Wavelet Transform in ground based wind profiler and lidar measurements”, J. C. Compton, R. Delgado, T.A. Berkoff, and R. M. Hoff, J. Atmos. Oceanic Technol.,doi:10.1175/JTECHD-12-00116.1, 2013. “Bay Breeze Influence on Surface Ozone at Edgewood, MD During July 2011”, R. M. Stauffer, A. M. Thompson, D. K. Martins, R. D. Clark, C. P. Loughner, D. Goldberg, R. Delgado, R. Dickerson, J. W. Stehr, M. A. Tzortziou, J. Atmos. Chem., doi: 10.1007/s10874-012-9241-6, 2012. “Sporadic metal atom and ion layers and their connection to chemistry and temperature structure in the mesopause region at Arecibo”, R. Delgado, J. T. Fentzke, J. S. Friedman, S. Raizada, C. A. Tepley, Q. Zhou, J. Atmos. Solar. Terr. Phys., 74, 11–23, doi:10.1016/j.jastp.2011.09.004, 2011. “Identification of Urban Aerosols during Wintertime Pollution Event in Baltimore”, Delgado, M. S. Kacenelenbogen, A. Roche-Lima, P. Sawamura, M. H. Tabacniks, J. Vanderlei Martins, R. M. Hoff; Proceedings of the 8th International Symposium on Tropospheric Profiling: Integration of Needs, Technologies and Applications (ISTP 2009), ISBN 978-90-6960-233-2, 18-23 October 2009, Delft, The Netherlands, 2009. “Chemical model for mid-summer lidar observations of mesospheric potassium over the Arecibo Observatory” R. Delgado, B. R. Weiner and J.S. Friedman; Geophys. Res. Lett., 33, L02801, 2006. “Potassium Doppler-resonance lidar for the study of the mesosphere and lower thermosphere at the Arecibo Observatory” J.S. Friedman, C. A. Tepley, S. Raizada, Q. H. Zhou, J. Hedin, and R. Delgado; J. Atmos. Solar Terr. Phys., 65 (16-18), 1411-1424, 2003. “Mesospheric potassium layer over the Arecibo Observatory, 18.3°N 66.75°W”, J.S. Friedman, S.C. Collins, R. Delgado, P.A. Castleberg; Geophys. Res. Lett., 29, 15-1, 2002. “Nonadiabatic effects in the photodissociation of vibrationally excited HNCO: The branching between singlet and triplet NH”, H.L. Berghout, S.S. Brown, R. Delgado, F.F. Crim; J. Chem. Phys. 109, 2257, 1998.